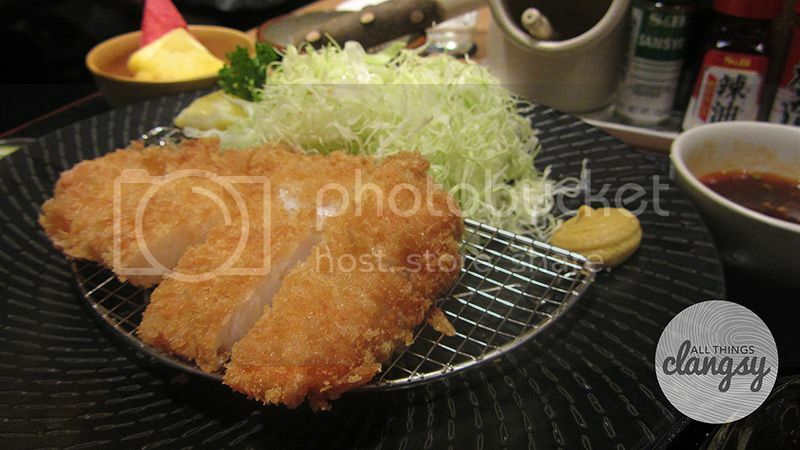 For months, we’ve been dying to go to Yabu House of Katsu. 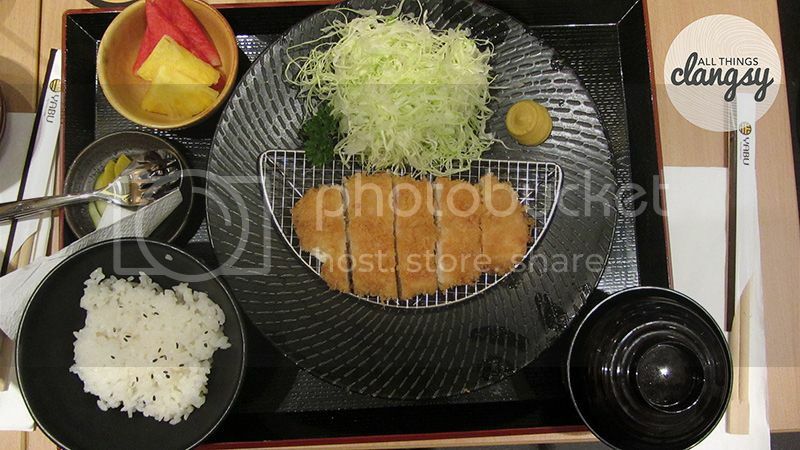 But Anna and I are lazy ladies, refusing to go to SM Megamall to where the only Yabu in the Philippines was located. It was not very near our comfort zone so we delayed eating there for several times. But around October, I think, I went to MoA on an errand and saw that Bistro Ravioli was gone. I really love that place and learned that it was now at the ground floor of the left wing. 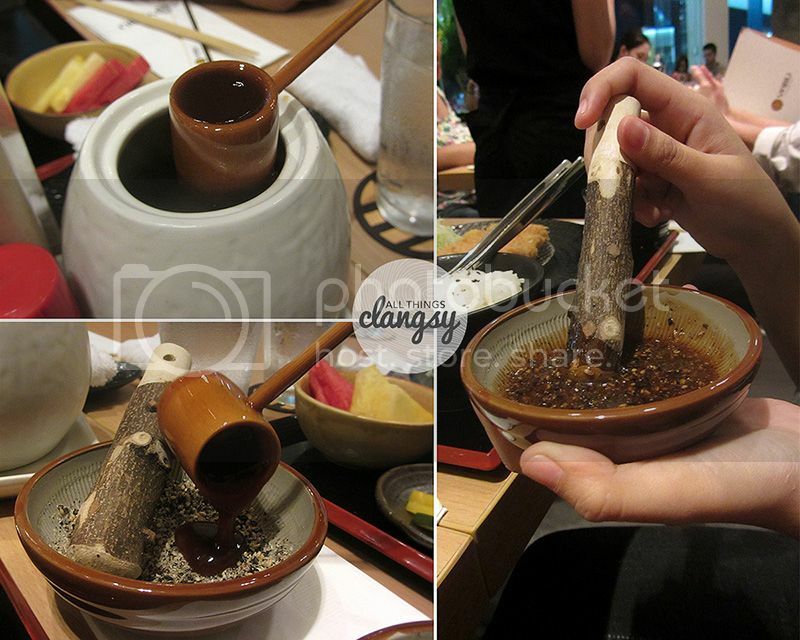 Anyway, Yabu got Bistro’s new location and this most sought for Japanese restaurant just had their soft opening last week, November 28, 2012. It was the same date as Up Dharma Down’s Album Launch at Esplanade so we, Hannah, Ian, Anna and I, decided to eat dinner there. The whole restaurant was very welcoming and warm. Also there were manga strips on the wall, which I didn’t get to read much because I was facing the other way. Anyway, I think they were about katsu and intense feelings. Do not fret, this all might be too much or confusing but the waiter serving your table will discuss this with you accordingly. Unfortunately, the waiter who served our table at that time had a really soft voice. We didn’t get to hear what the other condiments were for so I just tried out everything, which might I add is not very wise thing to do. 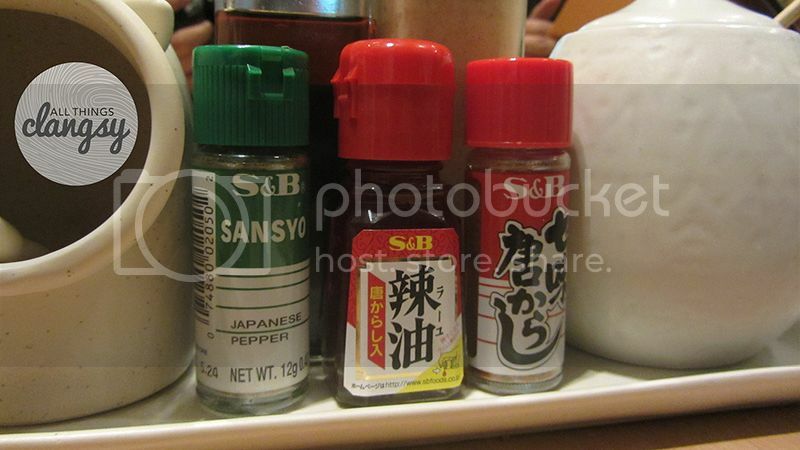 Besides which condiments to use for which food, the waiter will also tell you about their special katsu sauce. I think the sauce is one of the more unique features of this restaurant for me. Preparing the katsu sauce. That’s Anna’s hand, btw. With regards to the service, it was fast. Not Fast & Furious fast but I think it was faster than most restaurants. Also during the time that Anna, Ian and I ordered there were just a few people dining there, which is sort of weird for their soft opening. I was really expecting it to be jam-packed. This is the Cream Dory Set that I ordered. 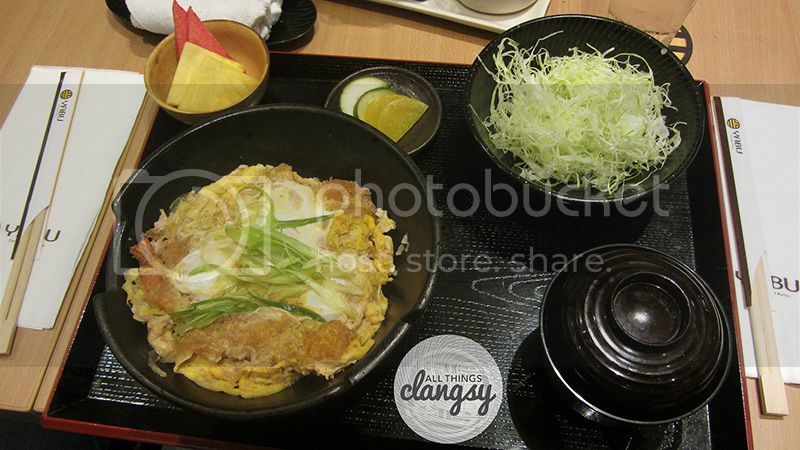 Here is Ian’s choice, the Ebi and Fish Katsudon Set. Katsudon has egg in it. And Hannah’s Vegetable Set, which took a little more time than our orders. But had the most servings. So this is all a bit overwhelming as you can see. Our table was so filled with food and we were literally rubbing elbows with each other. 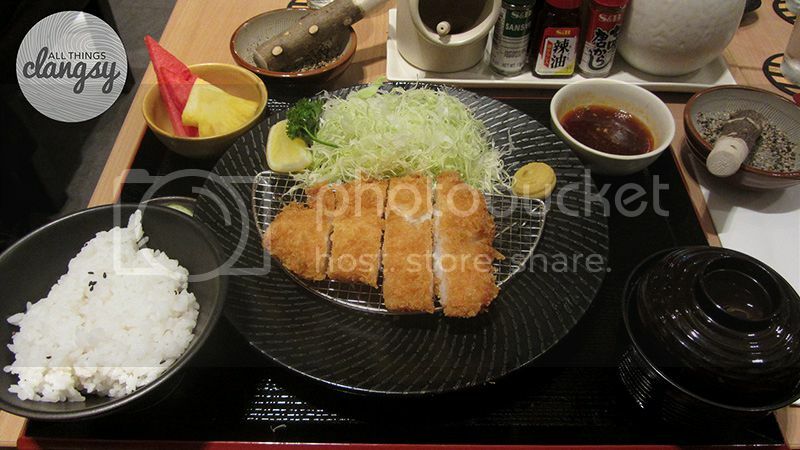 I started with the cabbage and ate my way through the Cream Dory Katsu which was, for lack of a better description, DELICIOUS. What can I say, I love fish. And the way they cooked it was superb, it was so crunchy on the outside and so soft on the inside. It wasn’t at all tough, like when you overcook fish, which I usually do when I’m cooking dory. It was perfect with the katsu sauce. I didn’t like the red sauce provided for seafood, though. I can’t seem to pinpoint what it tasted like, it was kind of salty and spicy and there was a hint of sourness. It confused my taste buds so I just went with the katsu sauce. Also a warning, if you see that yellow sauce at the right side of the cabbage salad. DO NOT EAT IT! Because I did (and also Hannah) and it turned out to be wasabi or some kind of horse radish paste. Forgive our foolishness! Haha! ‘Coz I haven’t encountered yellow wasabi before so lesson learned. And like the main dish, the side dishes were good; the cabbage was fresh and it was good with both the vinaigrette and the sesame dressing. Though, most of my friends preferred the sesame dressing. Also don’t forget that this is unlimited like your rice, do take advantage of it. I’m sure if Anna had more time she would’ve eaten more haha. I definitely would want to go back to this restaurant after this first good experience. And I’d really like to try the Katsu Curry next time. I think all of us were happy with our choices and thought that it was worth our money. 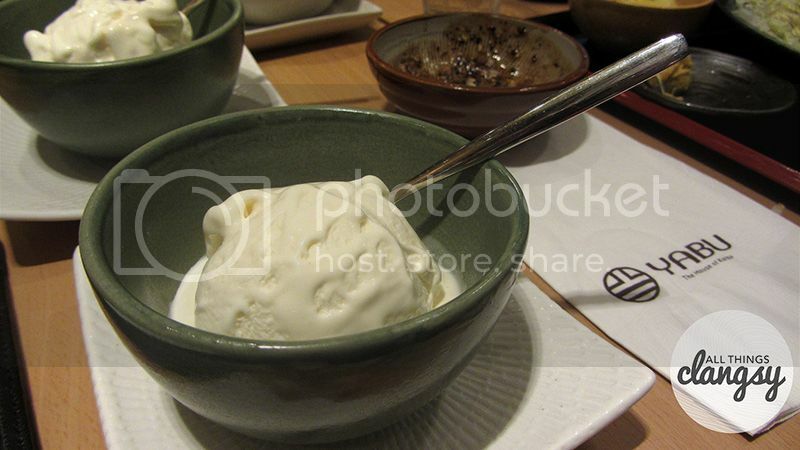 And look we got free ice cream for dessert! I chose vanilla, my favorite. Ian chose chocolate, Anna strawberry and Hannah vanilla. Hehe Hannah vanilla. After our meal we then proceeded to go to Up Dharma Down’s album launch with heavy stomachs. And of course, the rest of the gang had a good time at the concert as well. But that’s another story for another post. Note: Hi you may not know me, but my name is Clarizze. I am Anna’s friend and she made me do a guest post for this blog entry. If you had the chance to read older posts by so-stellar, you might’ve seen me in the pictures or read my name mentioned in a couple of posts. And if you are really that observant, you may notice that our favorite things to do are: eating, going to concerts/gigs and shopping. 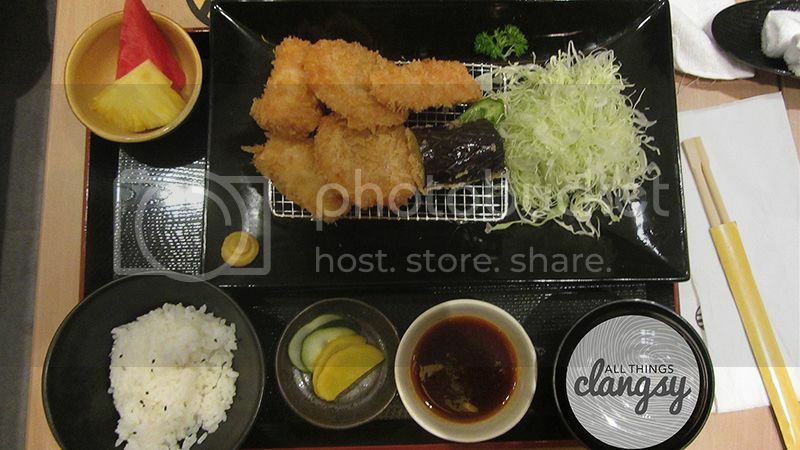 I hope you had fun reading this entry and somehow it formed a good idea of what kind of a restaurant Yabu is. A disclaimer, this is not a paid blog entry. We did it out of our own volition and for your entertainment. 😀 Cheers!